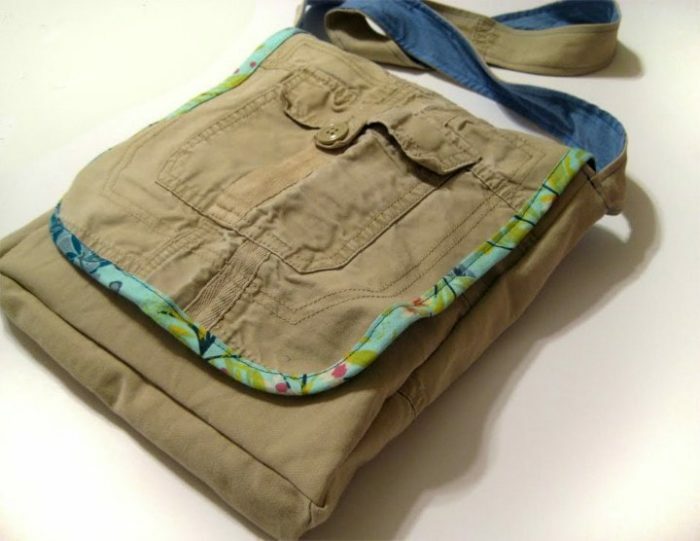 Here are my top 10 plus tutorials for upcycling clothes into bags. Taking less than an hour this tote holds your laptop, magazine, tablet – perfect for adding your brand of individuality to any outfit. 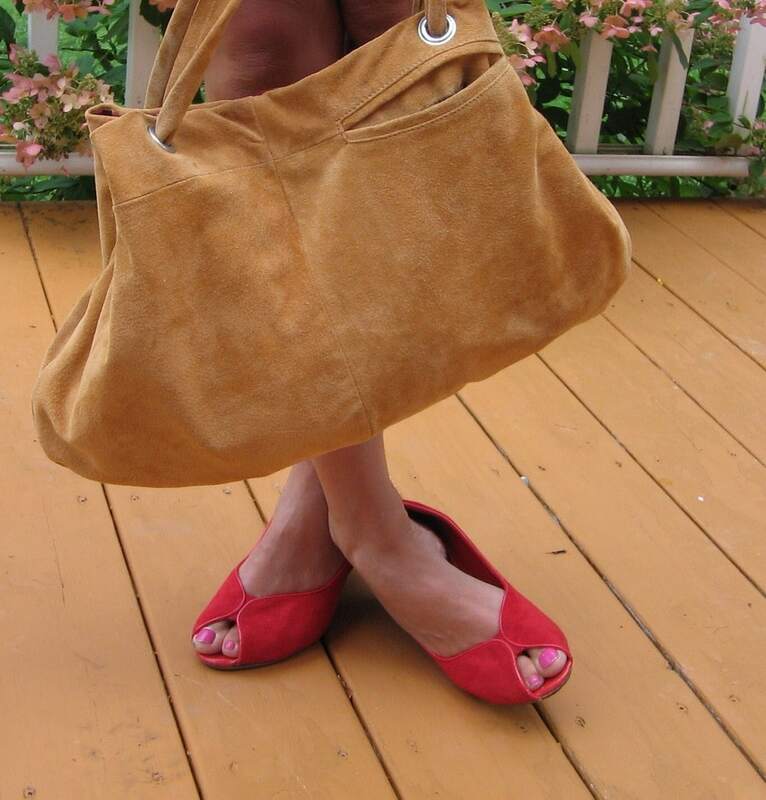 The bag uses thrifted handles but you could easily replace with bought handles. 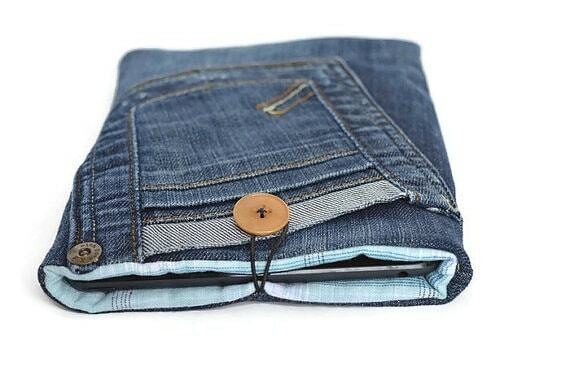 Create an upcycled denim tablet case using a pair of old jeans. Switch the fabric for some former trousers to create a denim tablet case, utilize the back pocket which is perfect for earphones. This tablet case is lined with an old shirt, with some fusible fleece for protection of the tablet. This tutorial is from Philigry. I love the slouchy feel, you will need a leather needle for your sewing machine and grommets. 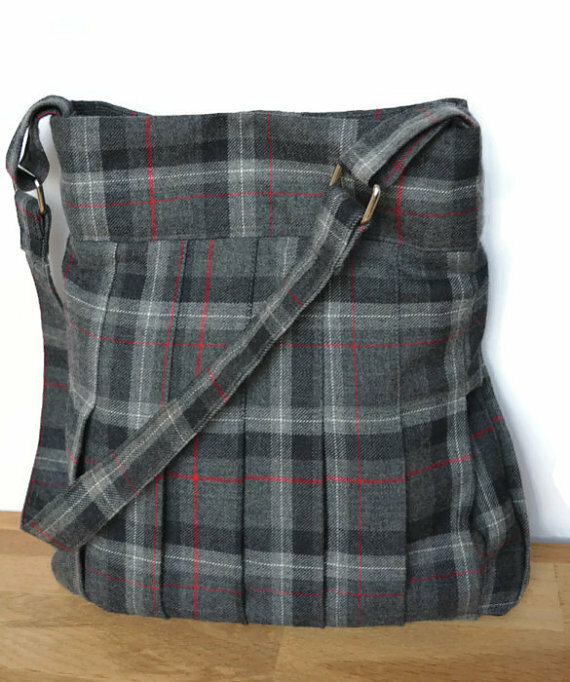 Large shoulder bag made from former shirts. I love this – the real challenge is to spot a fun shirt in a charity shop. Find the tutorial at bugglebee. This is a hardwearing messenger bag created from former cargo pants, alternatively you could use denim trousers. Personally I think these are great for men, especially if they have young children, you can easily fit in a toddlers drink, packet of wipes and a snack. Utilizing the original pleats in a skirt this is a fun bag – make it as deep or as shallow as you like. 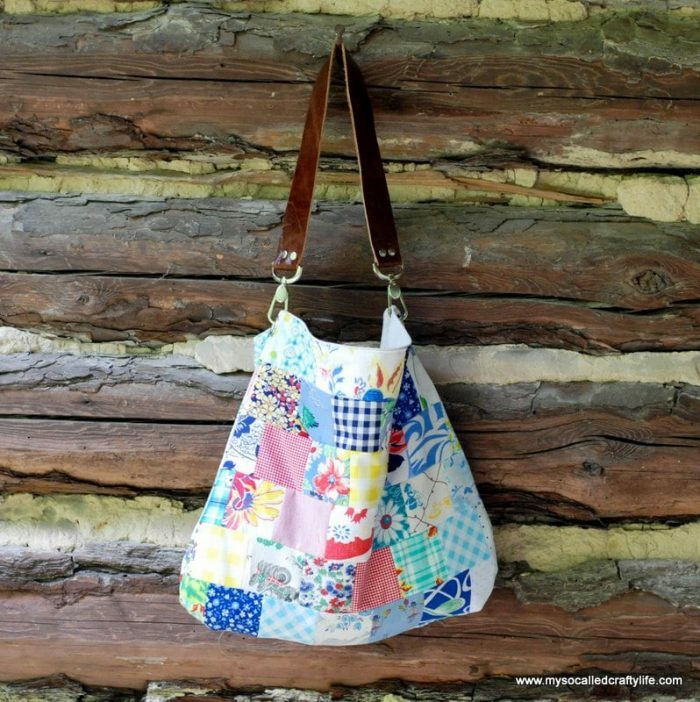 Use up your scrap fabrics to create this fun and stylish tote. The instructions are easy to follow including the leather straps. 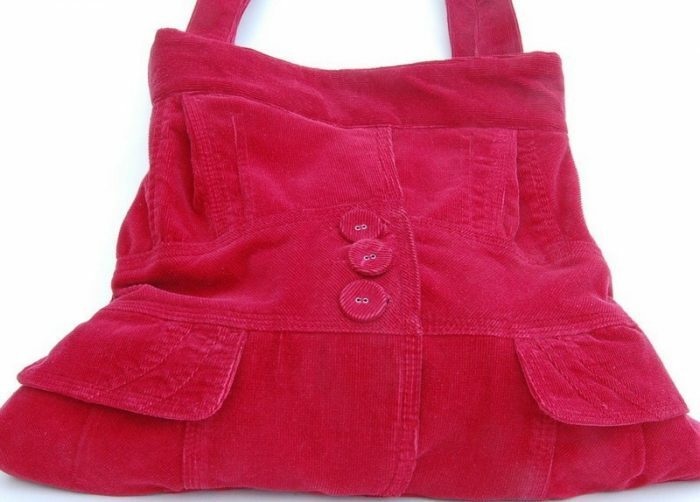 Transform a jacket into a ladies shoulder bag. 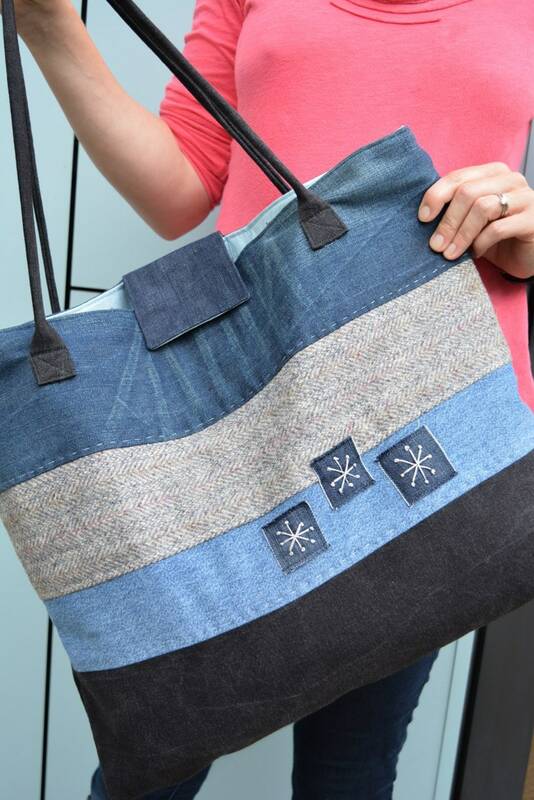 How about a large denim tote? Denim is so versatile and strong. 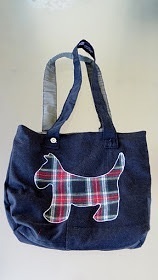 Next up this cute Scottish dog bag. Its designed by one of my favourite bloggers Jill. It utilises old trousers and a skirt. Lastly I have to include a tshirt tote for your groceries, especially as in the UK you will be charged 5p per bag from October!! 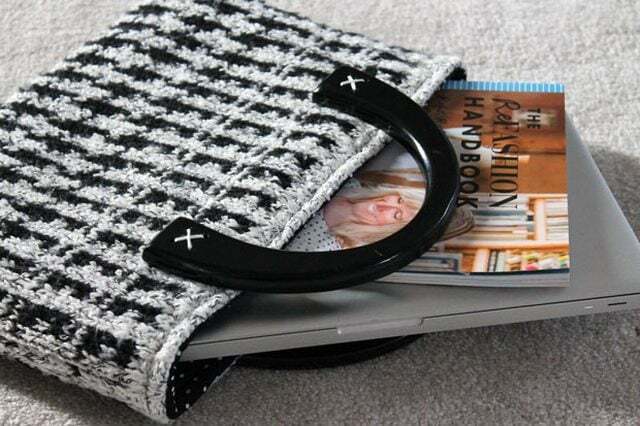 If you fancy more upcycled bag ideas pop over to my bags board on pinterest. 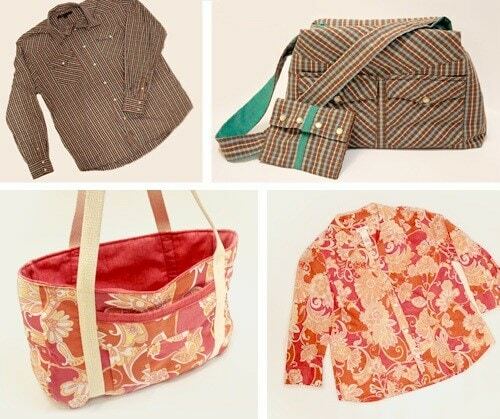 What’s your favourite upcycle with former clothes? This is a great collection of tutorials. Always love what you do, Vicky! Agatha recently posted…No New Clothes For a Year? I love love love all of these bags — I wish I had time to try making them all. I love that first one, and I have a soft spot for patchwork – it’s so bright and cheerful. Thanks for sharing and inspiring! 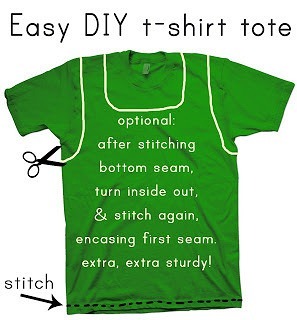 These are just brilliant – think I need to get my sewing machine out! Thank you for joining in with Frugal Family Linky!